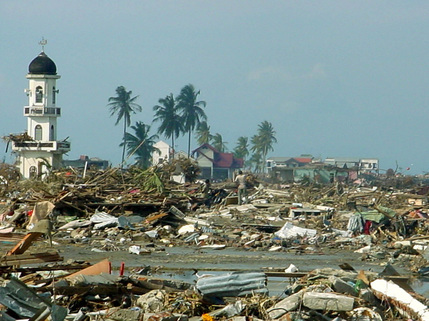 FBA grew out of the immediate and spontaneous response to the tsunami of December 2004 that killed hundreds of thousands of people, and leveled many coastal areas in Aceh, Indonesia. Azwar Hasan, a native of Banda Aceh, who was living in Jakarta when the tsunami struck, was one young man who returned home immediately to look for his family. Initially overwhelmed by the scale of death and the scope of devastation, he was determined to figure out a way to help – quickly. Azwar summoned 10 friends from non-effected tsunami areas to live with tsunami survivors, and buy for them what they needed. And then he summoned 10 more friends to repeat the exercise, thus began the people-to-people approach, which remains the foundation of FBA’s work today. Joe Wood, from Ireland, donated $1,000 to buy, among other things, a moped rickshaw for Syarwan, who was living in a shack constructed of debris, and wading daily through mud to try to find the means to provide for his six dependents. With the new found means of making a living, Syarwan was able to provide for himself and his family again, and within a month he reimbursed the donation he had received so that someone else could be helped. Soon funding was sent by the German charity Diakonie Emergency Aid (DEA), followed by funding from the Dublin Port Company, and by other generous organizations and individual donors. 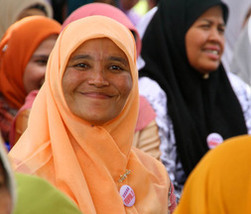 Those financial contributions enabled the people-to-people approach to be formalized into a local organization, with a staff and premises in Banda Aceh. A journey of a thousands miles begins with a single step. This proverb truly helped motivate me to do something to help myself, my family and my homeland of Aceh when in December 2004, the tsunami destroyed everything dear to me. I felt like I had lost everything in my life. It was hard to believe what I saw: There was nothing left after the tsunami. More than 200,000 people lost their lives. We lost beloved parents, brothers, sisters and friends. How were we to start life again? From almost nothing, from rubble? Thousands people with no place to stay, not enough food to eat and water to live. I felt hopeless. I didn’t know what to do. That day, wandering helplessly, I found myself standing at the corner of the Banda Aceh Baiturahman Great Mosque. Watching the many dead bodies and the people walking without hope amongst them, I cried, I still didn’t know what happened to my family. After a couple of hours wandering helplessly around the Great Mosque, I pushed myself to keep searching for my family. I could only pray that they were alright. Nevertheless, I kept thinking of what I could possibly do to rebuild my homeland and my people’s lives. Then, I remembered the saying that a journey of a thousand miles begins with a single step and I realized that I couldn’t do everything at once for my family, for Aceh and all tsunami survivors. I knew I must not be deterred by the immensity of the task at hand, that I must do what I can. This principle has driven me to always do something, however small, because it can make a significant difference in our life and the lives of others. Tsunami survivors need quick and immediate help; so even the smallest help can save their life. But how? Then an idea comes, if one person can help one tsunami victim, more survivors will be able to recover their life as soon as possible. This principle which we would later call "People-to-People", I found was suited to deliver quick, thus life-saving, emergency aid. I realized I was not alone to make this dream comes true. Many friends, particularly other young Acehnese tsunami survivors joined the Forum Bangun Aceh (FBA) to work and volunteer, and expressed the same commitment to do something however small but make a significant difference. The FBA has benefited from strong support for our People-to-People initiative approach, and has now expanded to a Community-to-Community program.
" To assist the people of Aceh to improve their lives through their own potential. 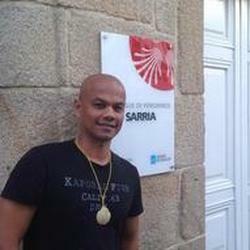 Our philosophy is based on direct people-to-people assistance, enabling the community to build from within. "